Malignant potential in GISTs is usually categorized based on site, gross size, and mitotic rate per 50 high-power fields; however, histologic features can also suggest a tumor's malignant potential. This GIST has bland, spindled cells without necrosis or mitoses, making it likely to be of low malignant potential. 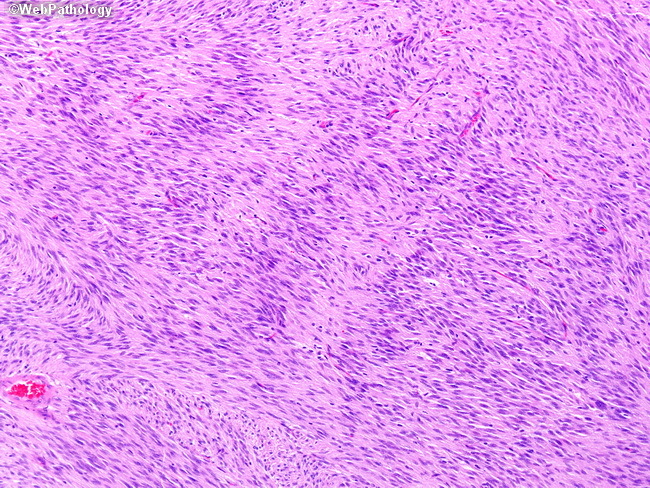 It resembles schwannoma with Verocay bodies, but S100 would be negative.